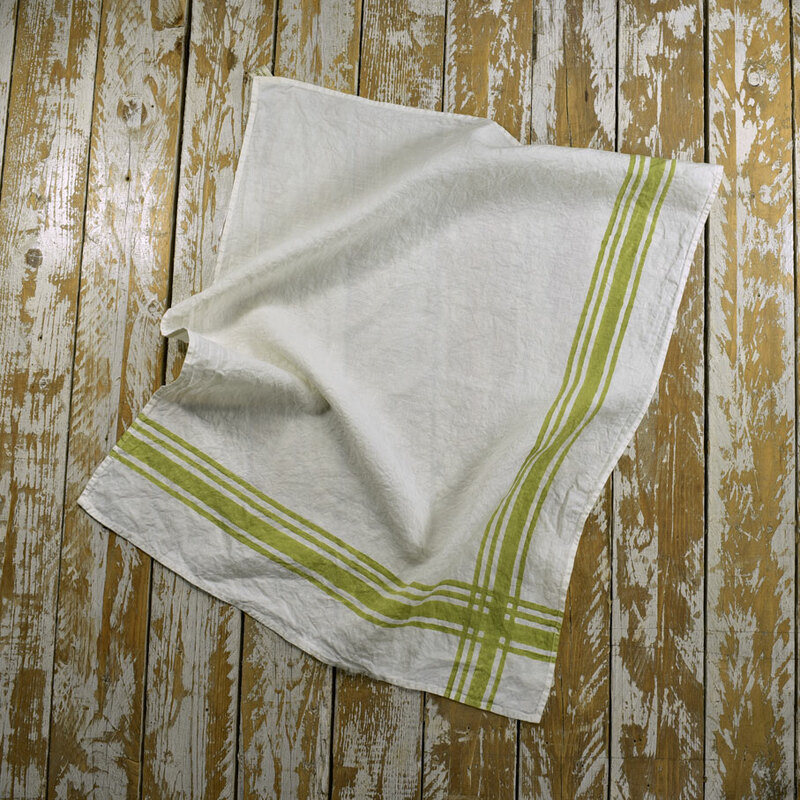 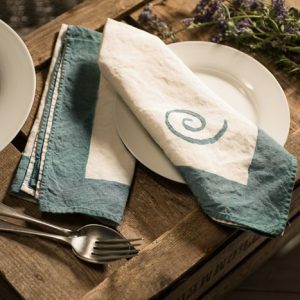 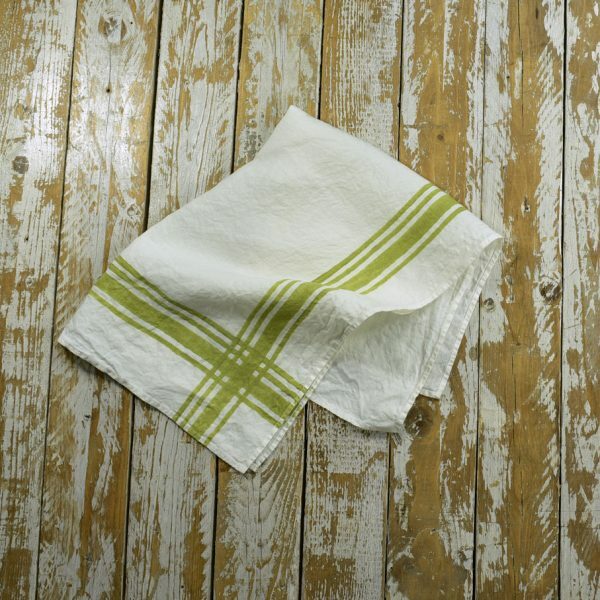 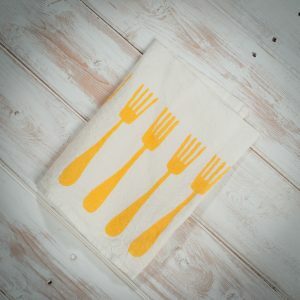 The simple elegance of these authentic handcrafted linen tea towels makes them both modern and ageless at the same time. 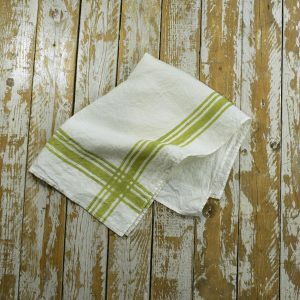 A classic French style like this is equally at home in a traditional country kitchen as it is in a smart, urban home. The stripe design is hand printed onto the fabric by the celebrated Italian artisans at Stamperia Bertozzi. 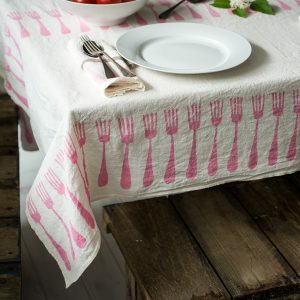 And this fabric is unusually fine. 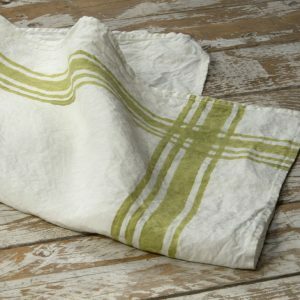 Not only is it 100% organic – this naturally crumpled linen is also crafted using ancient artisan techniques on a shuttle loom. 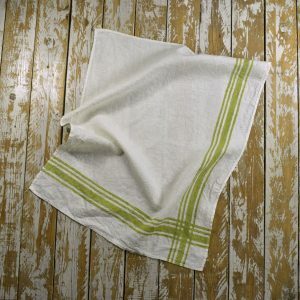 So it is among the most superior Italian linen available. 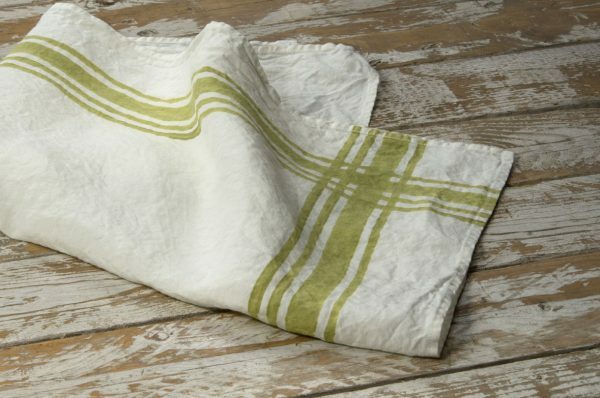 As a result, is beautifully soft to the touch and is the ideal fabric for a tea towel, being very easy to use and to take care of. After use, you can simply leave it to dry naturally, and its appeal and character grows over time. 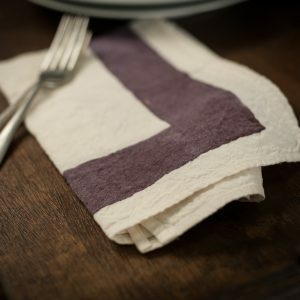 Since 1920, the Bertozzi family have been creating the most wonderful hand-printed and hand-painted fabrics. 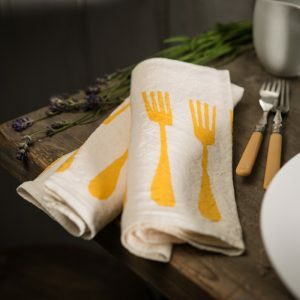 Using traditional techniques, these master craftsmen hand-carve blocks of pear wood to produce the stamps they use to print their own designs onto the fabric. 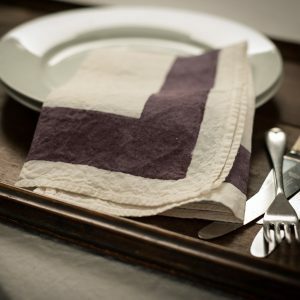 The rich and vibrant colours they create come from closely guarded family recipes that are passed from generation to generation.